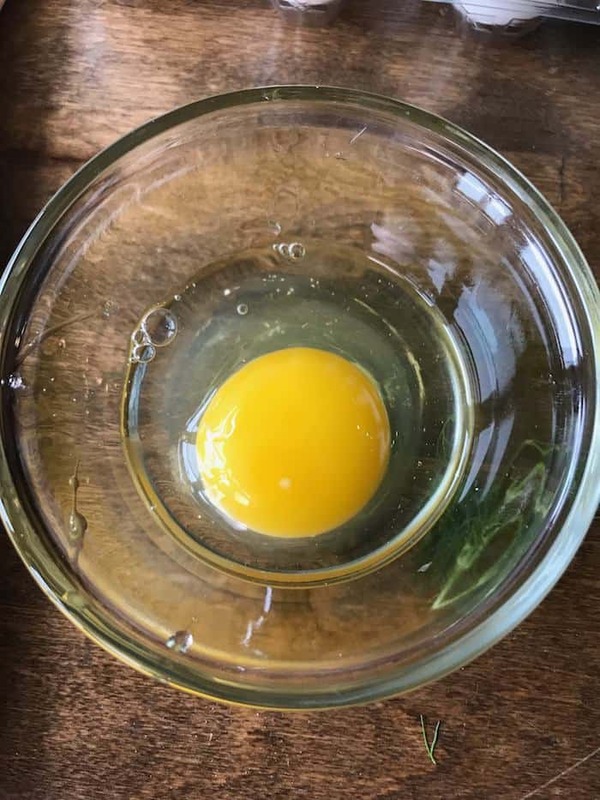 I’m not so sure how you feel about eggs, but they can get pretty boring if you eat them every day and don’t change it up a bit. I love eggs but I need variety! I’ve got the perfect solution for you and guess what??? It’s fairly easy to make too! 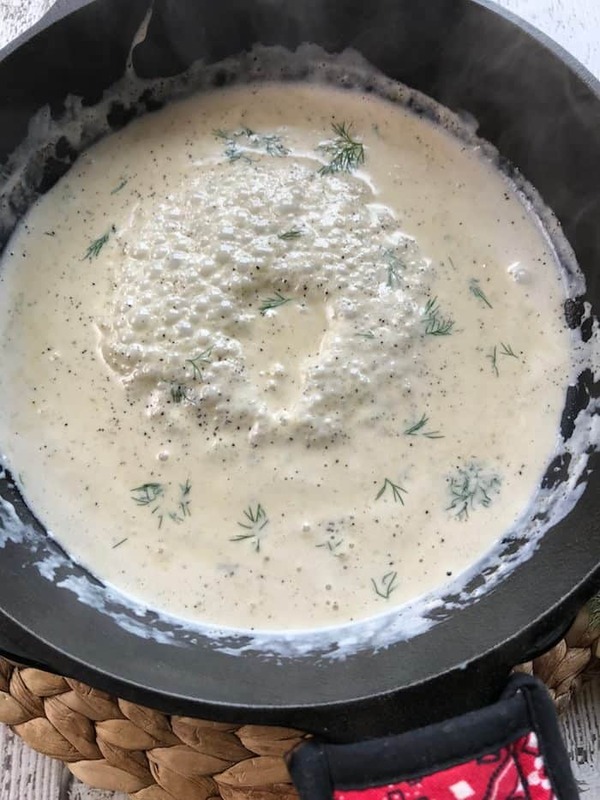 The best part is the whole family loves it and it’s Keto friendly! Talk about a win-win for everyone. The little one even said, “Mom, please make this every day because I love it!” Gosh, I love when they request food that is really good for them. My heart nearly melted. 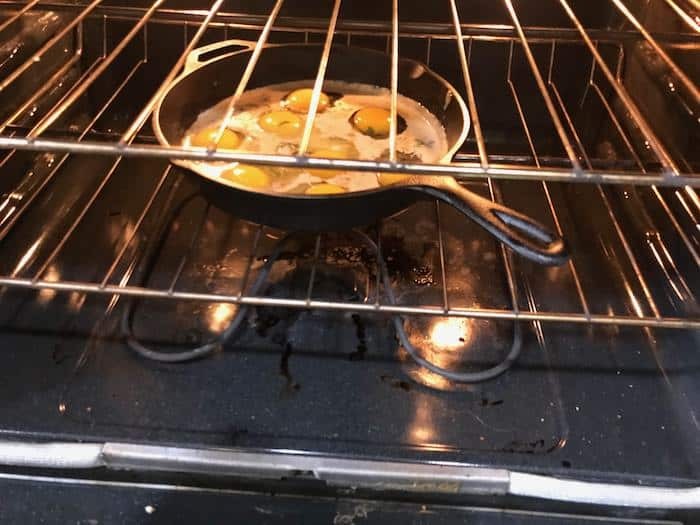 If you don’t have a cast iron skillet, make sure you use a pan that you can start off cooking on the stove top and end up cooking in the oven. Don’t use a pan with a plastic handle. 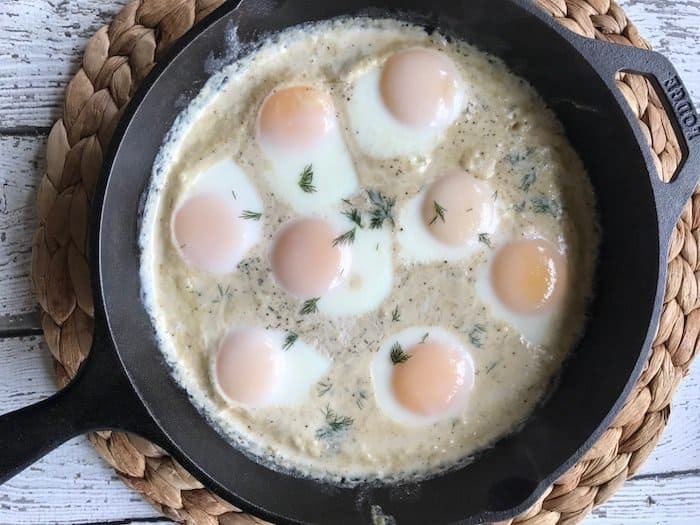 For this recipe, I used my 10-inch cast iron skillet. 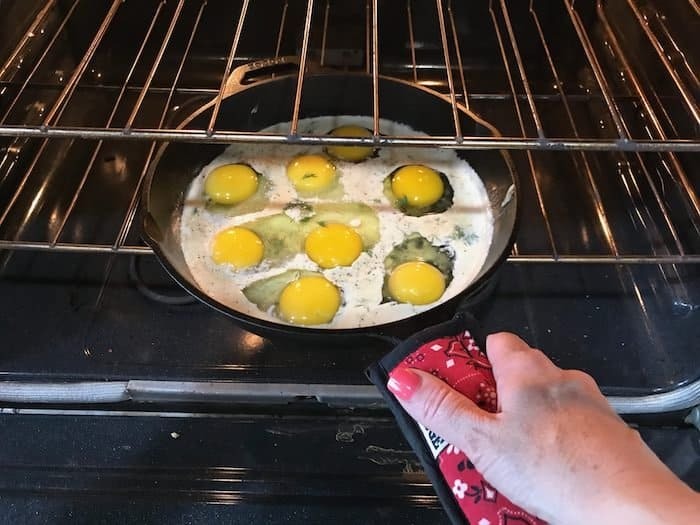 It is just the right size for the creamy eggs to sit in the gravy and it holds 8 eggs nicely. 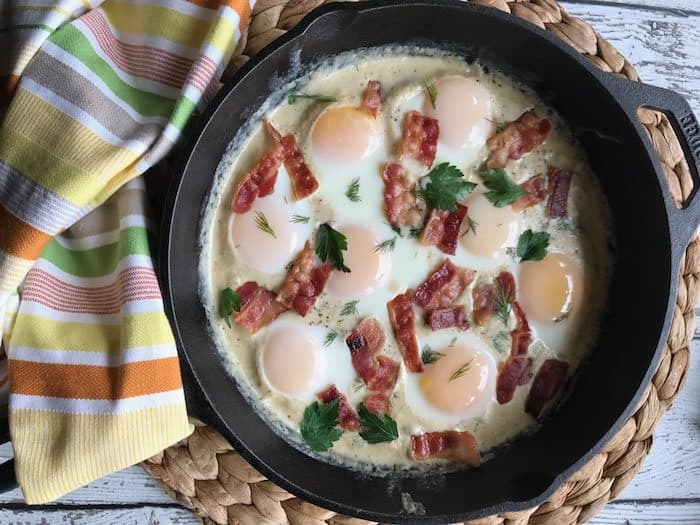 You could easily add two more eggs to this recipe in this size pan but if you needed to make this breakfast meal for a bigger crowd, I would use a bigger skillet. This is why I have a few different sizes! The key to the success of this recipe is the flavors we used. I used fresh parsley and fresh dill. Thankfully my little Cinder Block Garden provides me with lovely fresh herbs because buying them in the store is crazy expensive for a very small amount. I love the fact that I can go in my backyard and pick off exactly what I need when I need it without wasting any. 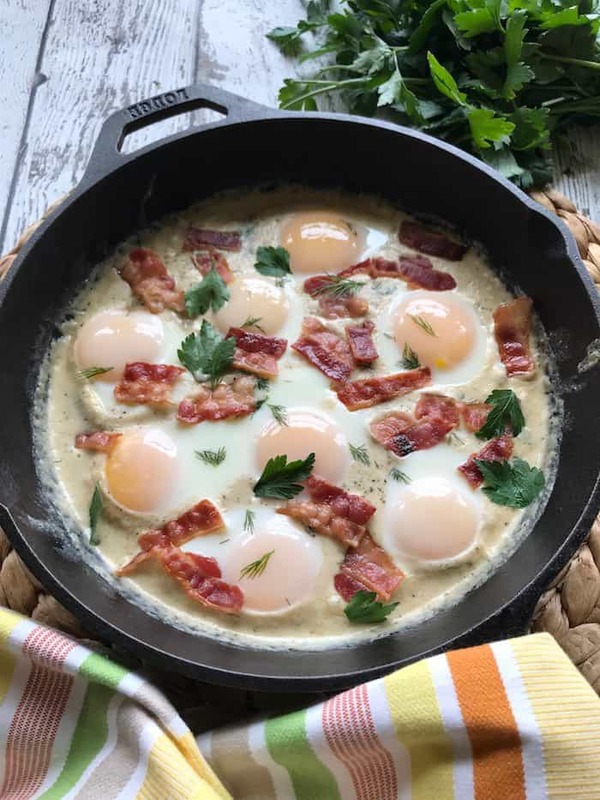 There is a printable version of this recipe at the very bottom of this post. 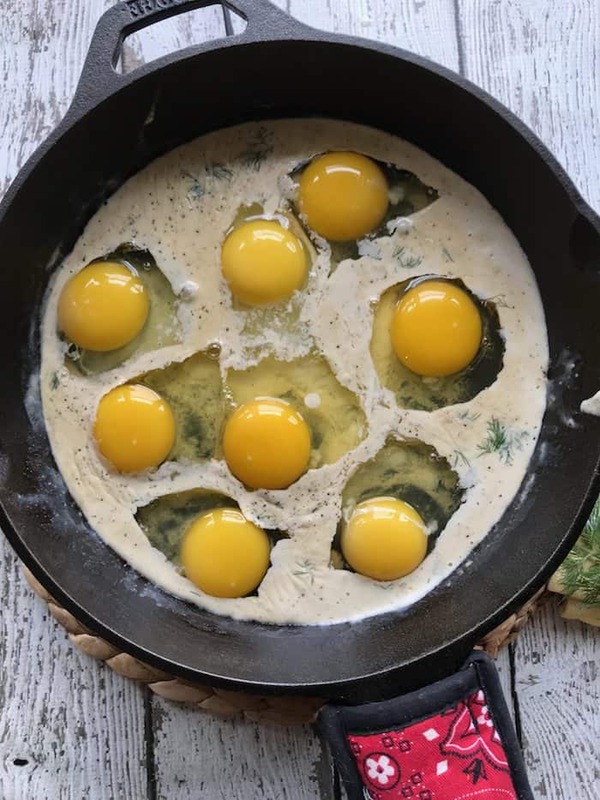 Start by pouring a small amount of olive oil in the cast iron skillet. 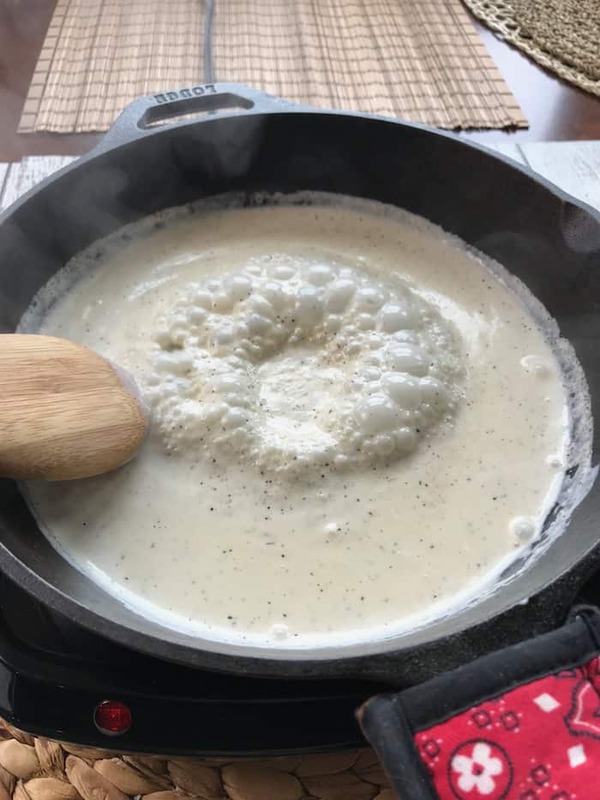 Pour the heavy whipping cream, salt, and pepper into the skillet and bring it to a simmer over low to medium heat stirring it constantly. Add the fresh parsley and fresh dill. Once the cream mixture has started to simmer, turn off the heat. The cream mixture will start to thicken at this point. Crack each egg and place it directly into the hot cream mixture. 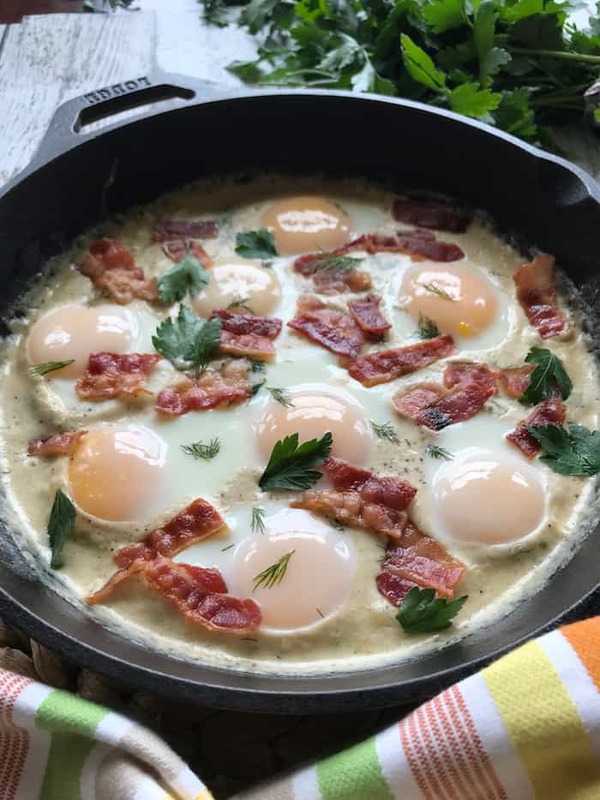 Place the creamy Keto skillet eggs in the oven to bake until the yolks are baked to your desired consistency. I baked them for about 8 minutes. Remove them from the oven and sprinkle with cooked bacon crumbles. I wanna say this recipe only took about 15 to 20 minutes from start to finish. It is a super easy recipe that packs a flavorful punch when you need a new twist on breakfast! Try it! I’m certain you will enjoy it as much as my family does. 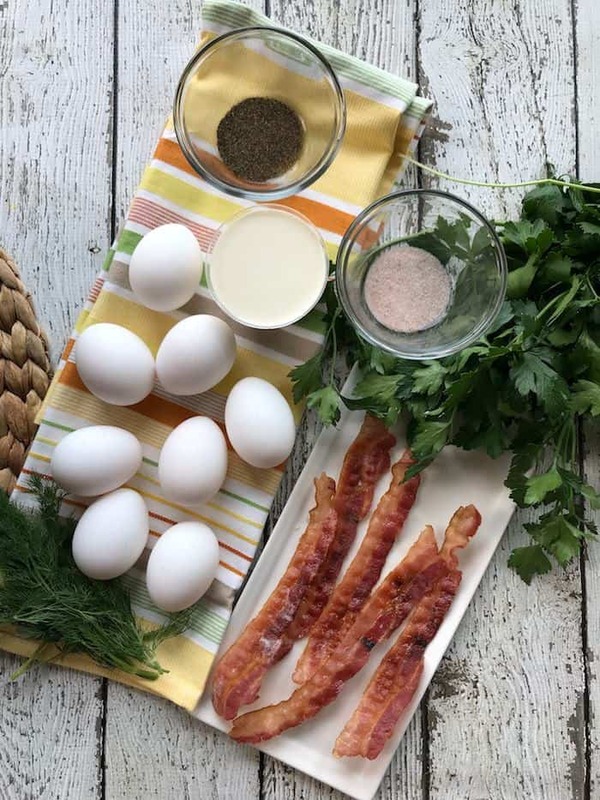 By Jennifer on August 1, 2018 Breakfast, Keto Breakfast Recipes, Keto Friendly Recipes, Low Carb Recipes, Recipes. My husband and I just started on the keto diet. He is loving all the yummy stuff I’m finding and our friends and family are shocked, “This is keto! ?” They exclaim delightedly as they taste the breads, casseroles, snacks, and other things I’ve made from your site and others. We have enjoyed this skillet meal in a variety of ways, most commonly with sausage crumbles in the bottom before adding the cream. This morning I used about 1/4c of chorizo. It was the San Luis brand that has 3 links and i used 1.5 links cooked up before i added the cream. I added some taco seasoning instead of parsley, dill, salt and pepper. It was a different flavor. But it was good. We are meditating on it this morning. Thank you for sharing your wonderful recipes.